Hello, I’m Robbyne Wiley, a Parent Leader at Rise. 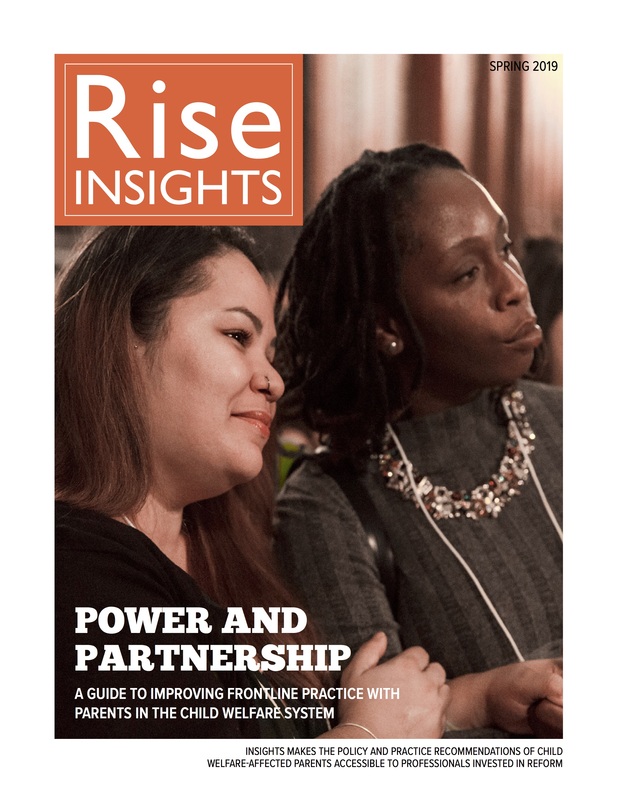 Rise supports parents to become advocates for change in child welfare. I am a parent who was affected by the child welfare system. From being on that side of the table, I can now support other parents, and train professionals working in the system to understand parents’ perspectives. I’m here today to support changes to the law and policies that will reduce the fear and injustice that exists in my community because of the threat of ACS investigation and family separation. I am familiar with the fear that can prevent a parent from seeking help. When the crack epidemic was going on, many children were being removed from the arms of their parents, especially in Harlem and the South Bronx. This made me very fearful to ask for the help I so desperately needed. Two of my three children were removed from my care a year before I realized I was pregnant with my fourth child. I feared going to get prenatal care, constantly thinking that if I did my baby would be removed at birth. That fear prevented me from getting the medical care and treatment I should have gotten during my pregnancy. Then, the day after my baby was born with positive toxicology, he was removed. I was tested without my knowledge or my consent and the response was to discharge me alone without my son, and without any help. If I had just had an open and honest doctor to ask if there was something going on that I wanted to talk about, I might have felt comfortable and been able to get help. Someone could have offered me services, not just fear. Research now says it’s important to do everything possible to help parents keep the bond with a newborn child. That means programs where parents and children can go through the journey of rehab together, and policies that tell parents, “As long as you keep doing what is best for you and your child, you don’t have to be concerned about your child being removed.” That wasn’t the message I got. I felt trapped and alone. Today, fewer children are removed from their parents than they were when my children were in the system, but more parents than ever before are being investigated. The fear that parents feel when getting that knock on the door cannot be overstated. Parents in my community today are still living with the fear that they will lose their children based on drug use. That causes parents who need help not to get it. Some parents don’t need help, because their use of marijuana is not a safety threat to their children. These parents still feel threatened and unsafe. To feel safe, parents need clear information about the law. 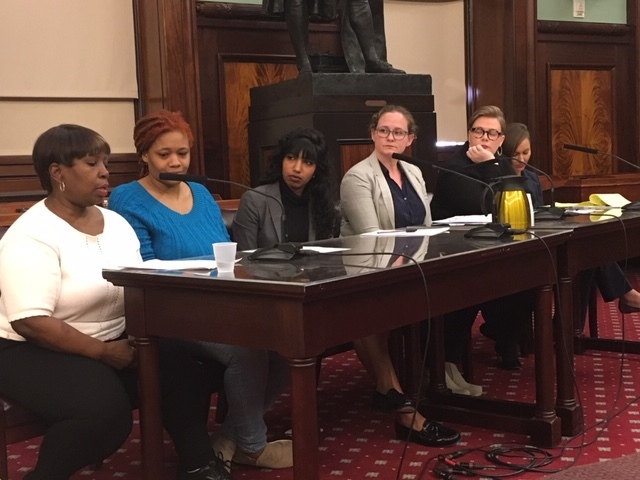 ACS should report on how often hospitals are making reports against parents, and hospitals should have clear policies about when they drug test pregnant women and how they inform patients of their rights. Hospitals should not drug test patients without their knowledge and consent and should not report drug use as child neglect without evidence of harm. Hospital policies should include how they offer help, not just judgment. In order for parents to have a different perspective on how to deal with the issues in their lives they need assurance that help is available in their communities and hospitals without fear of having their children removed. As we move forward to legalization of marijuana, parents need to understand how this may or may not affect them. ACS should make clear that children will not be removed because of parents’ marijuana use when there’s no harm. It’s so important to reduce fear, and that can only happen if we stop unnecessary investigations and removals.